WWSA: What Would Socrates Ask? I believe the world would be a better place if leaders considered “what would Jesus do?” (popularly referred to as WWJD). However, I also think it would make a huge difference if leaders considered “what would Socrates ask?” (WWSA). 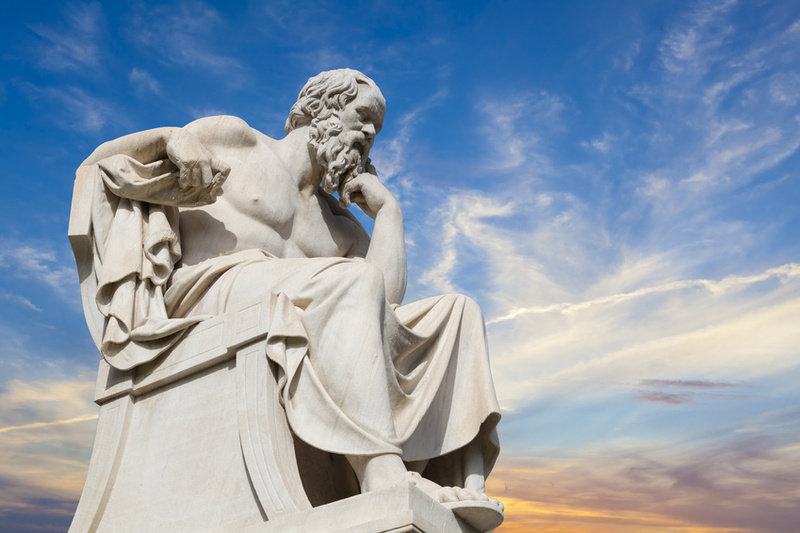 In contrast to other leaders and teachers of his day, Socrates didn’t use rhetoric to persuade people. Instead, he asked questions that stimulated critical thinking and encouraged people to reach a conclusion for themselves. Admittedly, it is easier to simply explain facts. The Socratic Method requires patience and creativity. But in the long run, it saves time by engaging people more fully. What Would Hostess Helen Do? In Europe, there is a company that runs a chain of dance halls. At most halls, the nightly attendance is more than 1,000 senior citizens. The staff at each hall includes a manager, hostess, and others. Not long ago, the company tried to figure out why some of their dance halls were much more profitable than others. What do you think caused the difference in profitability? My first guess was location, but many halls in undesirable areas were still profitable. My second guess was the manager, but the company found that switching managers between halls was not the key. After experimenting, the company was surprised to learn that the magic ingredient was the hostess. If a hostess (let’s call her Helen) was reassigned from profitable Hall A to unprofitable Hall B, then attendance at Hall B would steadily increase until it became profitable. Meanwhile, attendance at Hall A would drop. What did the profitable hostesses like Helen do that was so different? It wasn’t what Helen did, it was what she believed her role to be. Was Helen a success because she saw her role as Greeter? No, every hostess greeted each guest. Did she see herself as Matchmaker? Not feasible; there were too many people for one person to play Cupid. Did she see herself as Party Coordinator, remembering guests’ names and making sure they all enjoyed themselves? Again, no; there were simply too many guests to do that well. Instead, Helen saw her role as Talent Scout. Every night she played Simon Cowell (except kinder and gentler) by watching for better dancers. Then she recruited those golden idols as volunteer teachers of a weekly dance class. Honored to be chosen, they became very engaged in the hall’s activities, as did their students. The hall became more than just a social venue; it became a place to learn and contribute. Did you notice the questions I asked while telling this story? That’s how I first experienced it, when I heard the story from researcher and consulting psychologist David Burnham. Working my mind to guess the answers made me highly interested. Two years later, I still remember the story’s lessons about purpose and employee engagement. The first time I shared this story with a friend, do you think I asked those questions? No, I was in a hurry to deliver the punch line. Do you think my friend remembered the story two years later? No, he didn’t remember it even two days later. Let curiosity be your guide. Truly wonder what the other person thinks, knows, or believes. Don’t try to manipulate people by asking leading questions. Most people are too smart for that. Rather than asking leading questions, ask learning questions. Be open to the possibility that you could learn something yourself. Recently, I asked a friend a question based on a book I was reading. He provided an answer that was confident and passionate – and quite different from the book’s information. I discussed his thinking with an open mind, to understand his perspective and see what I could learn. I was fully prepared to skip my original point, but he eventually asked how his response compared with the book’s answer – and by that point, he was curious and open-minded himself. Asking rather than telling takes patience and creativity – and some practice. But what good does it do to tell people something if they don’t believe or remember it? Have there been moments in your work or personal life when asking a question helped you have greater influence? Share your story in the comments section! Quick note: Asking “learning questions” is one of the 8 communication tools for leaders discussed in my my free e-book. Check it out for other powerful ways to cultivate brilliant ideas and results in your team.